Northern Tea Merchants is a luxury, high-end contract pickers of tea, coffee and chocolate. They personally source and taste every one of our teas and coffees, travelling regular to plantations around the world to purchase what we believe are the very best teas, coffees and cocoa. Although established in 1959 by Managing Director David Pogson, the history of Northern Tea Merchants goes back to 1926 and three generations of the Pogson family. Northern Tea has built up fantastic recognition within Chesterfield and is the winner of various awards. 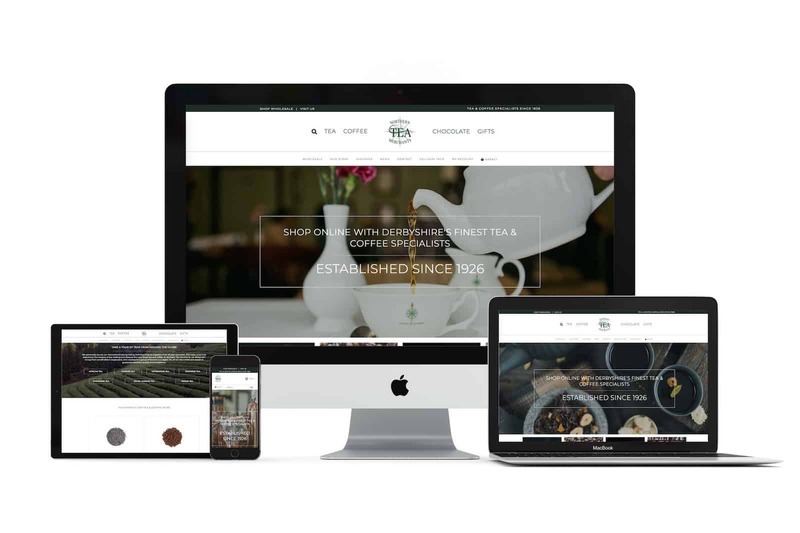 They have strong branding, ethos and values, therefore, our mission was to construct a website whose dynamic design complimented and reinforced their branding whilst targetting tea and coffee lovers nationwide. Northern Tea Merchants had an old website whose design was outdated and hard to update. Our challenge was to link different aspects of their business such as their retail shop, their wholesale and cafe in Chesterfield. Therefore, it was important to create an online presence which linked perfectly with the other aspects of the business. – Photoshoot for quality images for the website. – A catalogue-style website which emphasised their products and brand identity. – Optimise and make the website responsive. Creative Asset’s catalogue website design strategy focused on putting the user at the heart of the website, making it easy to navigate not only throughout the catalogue but seamlessly to the other sites such as the Wholesale and Cafe site. Our design complimented the brand but also showcased their wide-range of products. We liaised with Northern Tea Merchants to conduct a photoshoot which helped create the look of a luxury brand.